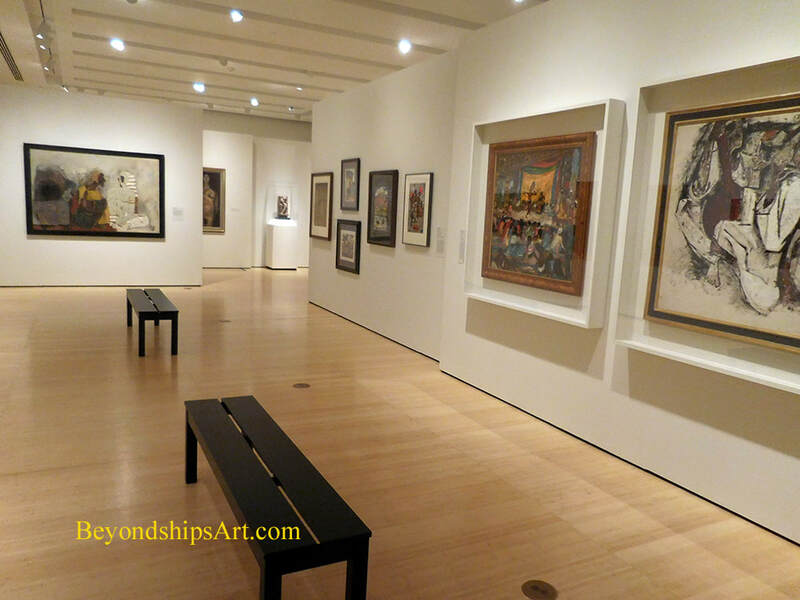 Art Exhibition Review "Progressive Revolution: Modern Art For A New India"
“The Progressive Revolution Modern Art For A New India” at the Asia Society Museum in New York City looks at the work of a group of artists who gave birth to Modern Art in India. It presents some 80 works including works from other collections. Shortly after India achieved independence from Great Britain in 1947, a handful of modernist artists came together to form the Progressive Artists Group (“PAG”) also known as the Bombay Progressives. The first three were Francis Newton Souza, Sayed H. Raza, and Krisnaji H. Ara. Each of the intial three then invited another artist to join the group and so Maqbool F. Husain, Sadanand K. Bakre and Hari A. Gade joined. Subsequently, in the 1950s, Krishen Khanna, V.S. Gaitonde and Mohan Samant became part of the group. Several other artists were closely affiliated with the PAG but the nine members are considered the fathers of Indian Modern Art. Like modernist artists the world over at this time, the PAG artists saw themselves as rebels. They sought to break away from academic tradition. However, their rebellion was given added impetus by Indian independence. The PAG rejected the academic style taught in India's art schools not just on artistic grounds but as a relic of the colonial era. They also were not interested in simply re-creating traditional Indian art styles. They wanted a new style of art for a new India. This is not to say that the PAG ignored traditional Indian art. Elements of folk art, temple carvings and Indian miniature painting appear in some of their works. However, the work of artists such as Picasso, Gauguin, and Cezanne as well as the work of the Western abstract and expressionist artists seem to have had a stronger influence. As a result, some have called the PAG's art derivative. However, the influence of these Western artists actually only serves to illustrate how international the Modernist movement was in the post-war period. Although the PAG members were dedicated to creating new Indian art, they took a variety of approaches. Some were concerned with illustrating the transition from an agrarian to an industrial economy. Others were interested in social and political events of the day. Still others looked to the Indian countryside and village life for inspiration. The PAG was not immediately embraced by India. Some of Souza's works were declared obscene and exhibition of them was prohibited. Some of the members became inpatient with the stodgy atmosphere of the Indian art world and left the country. Although as a practical matter, the group disbanded in 1956, its individual members went on to eventually achieve recognition in India and in some cases, internationally. The exhibition at the Asia Society is divided into three sections. “Progressives in Their Time: The Shock of the New” looks at the group's beginnings and its purpose. “National International” explores how the PAG artists were influences by a variety of Indian and international art in synthesizing their own styles. It concludes with “Masters of the Game,” which presents several of the artists' best known works. The works of the PAG artists demonstrate a mastery of modernistic technique. Thus, while they are about India, they do not just speak to Indian audiences. Rather, they are of international appeal. 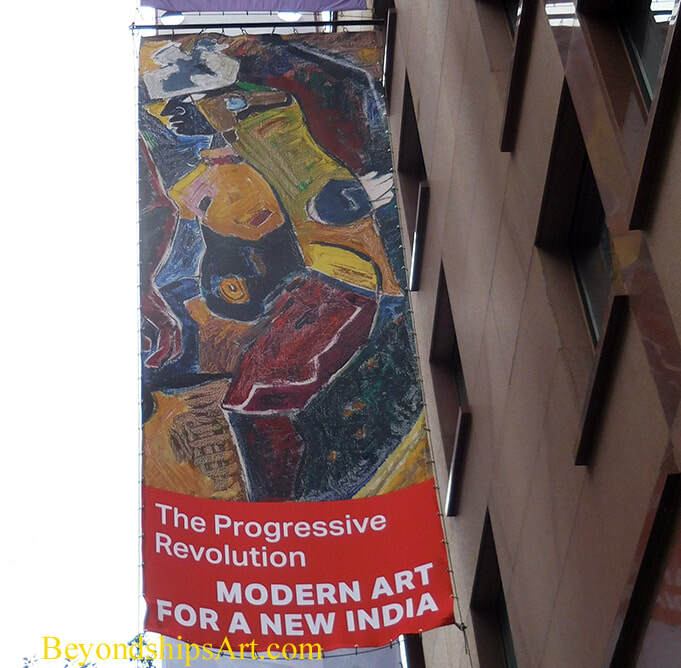 Art review - Asia Society Museum - "Progressive Revolution: Modern Art For A New India"